As we move ever closer towards the month of May, and the 63rd Eurovision Song Contest in Lisbon, the Preview Party season kicked off in Latvia last weekend with Artists meeting the fans and giving them an opportunity to hear their favourite songs performed live. 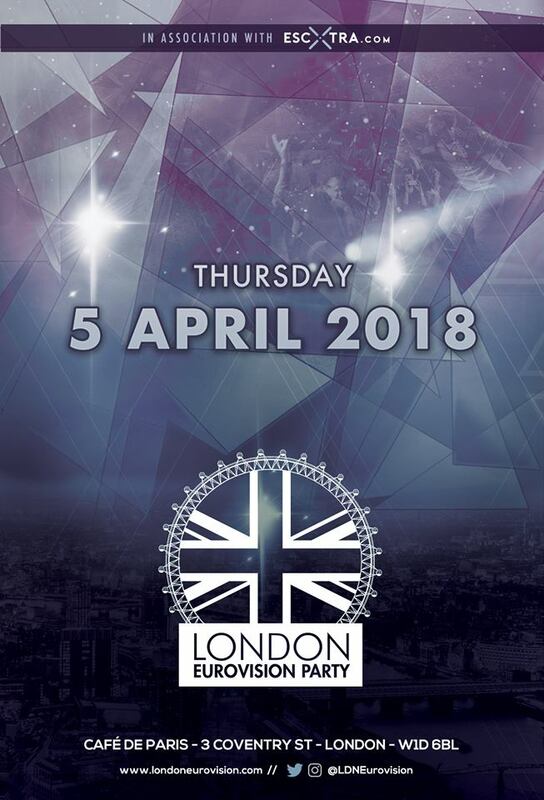 Next Thursday, 5th April, sees London host the 11th Annual London Eurovision Party at the Cafe De Paris in central London and Artist announcements are still being made. Last night, London Eurovision tweeted the following massive exclusive, with the common framework of Equinox performing the Bulgarian Eurovision entry “Bones” live for the very first time! This brings the confirmed acts up to 24 with more to come! The Public Review ‘La Forza’ by Elina Nechayeva! The Public Review ‘Our Choice’ by Ari Olafsson!